Cross-browser, cross-platform plug-in for delivering rich interactive applications for the Web. Deliver media experiences and rich interactive applications (RIAs) for the Web that incorporate video, animation, interactivity, and stunning user interfaces. Seamless, fast installation for users, thanks to a small, on-demand, easy-to-install plug-in that is under 2 megabyte (MB) in size and works with all leading browsers. Consistent experiences between Windows-based and Macintosh computers without any additional installation requirements. Create richer, more compelling Web experiences that take greater advantage of the client for increased performance. 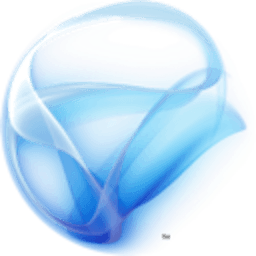 Stunning vector-based graphics, media, text, animation, and overlays that enable seamless integration of graphics and effects into any existing Web application. Enhance existing standards/AJAX-based applications with richer graphics and media and improve their performance and capabilities by using Silverlight. Based on the Microsoft .NET Framework, Silverlight enables developers and designers to easily use existing skills and tools to deliver media experiences and rich interactive applications (RIAs) for the Web. Role-specific tools for both designers and developers that take advantage of Web standards and the breadth of the Microsoft .NET–connected software features. For designers: Microsoft Expression Studio for creating interactive user interfaces and media rich experiences, preparing media for encoding and distribution, and creating World Wide Web Consortium (W3C) standards-compliant sites using modern XHTML, XML, XSLT, CSS, and ASP.NET. For developers: Microsoft Visual Studio for developing client and server code with full Microsoft IntelliSense, powerful cross-platform debugging, rich language support, and more. Consistent presentation model by using XAML, the declarative presentation language used in Windows Vista–based applications. Controls, visual designs, media, and other elements can be presented with full design fidelity in both Silverlight and Windows–based applications. Extensible control model makes it easy to add rich content and behaviors while enabling efficient code-reuse and sharing. Dramatically improved performance for AJAX–enabled Web sites with the power, performance, and flexibility of Silverlight and .NET-connected software. Unified media format that scales from high definition (HD) to mobile with Windows Media Video (WMV), the Microsoft implementation of the Society of Motion Picture and Television Engineers (SMPTE) VC-1 video standard, as well as support for Windows Media Audio (WMA) and MP3 audio. Add vector-based graphics and overlays to media with support for integration of graphics that scale to any size and broadcast-style overlays for tickers and closed captioning. Flexible ad-insertion solutions with video and animation, including the ability to deliver fluid, broadcast-style video or animated advertisements without loss of visual fidelity or motion quality. Broad ecosystem of media tools, servers, and solutions compatible with the Windows Media operating system. Microsoft PlayReady content-access technology that delivers a single solution for digital rights management support on both Windows-based and Macintosh computers for content providers (coming in Fall 2007). Powerful encoding tools for live and on-demand publishing of media experiences with Microsoft Expression Media Encoder, including hardware-accelerated encoding of WMV and VC-1 at up to 15 times the performance of software alone when paired with a Tarari Encoder Accelerator board. Easily mash-up and incorporate services and data from anywhere on the Web by taking advantage of the Silverlight support for LINQ and LINQ-to-XML while accessing that data with common protocols like JSON, RSS, POX, and REST. Increase discoverability of rich interactive application (RIA) content that can be indexed and searched due to the text-based XAML format that describes interface and content in a Silverlight-based application. Rapidly scale applications with Silverlight Streaming by Windows Live to host and integrate software services and media content. Download notes: * Alternatively you can download the latest beta version of this software.